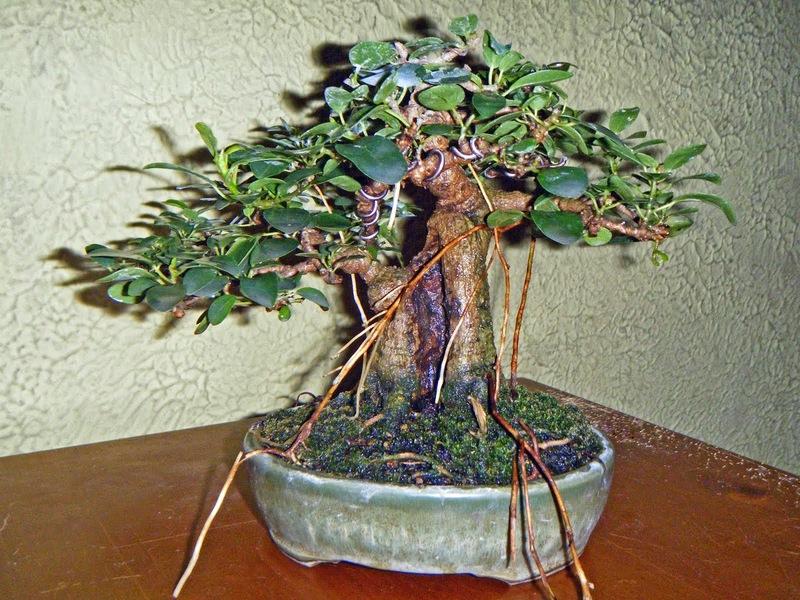 In early July the Indianapolis Bonsai Club hosted the MABA Convention for the second time in two years, and they put together an event that was a worthy sequel to MABA 2015. A big "Well done!" is due to all the IBC members and MABA officers who helped make the weekend a success, with particular recognition going to Mark Fields, Scott Yelich, and Paul Weishaar. And as headliner, he was the judge for the bonsai exhibition, putting into application what he learned in Japan. Best of Show went to this Scots pine, Pinus sylvestris, owned and trained by William N. Valavanis. This superb tree also won "Best of Show Professional" at the 2013 Mid-America Bonsai Exhibition in Chicago. 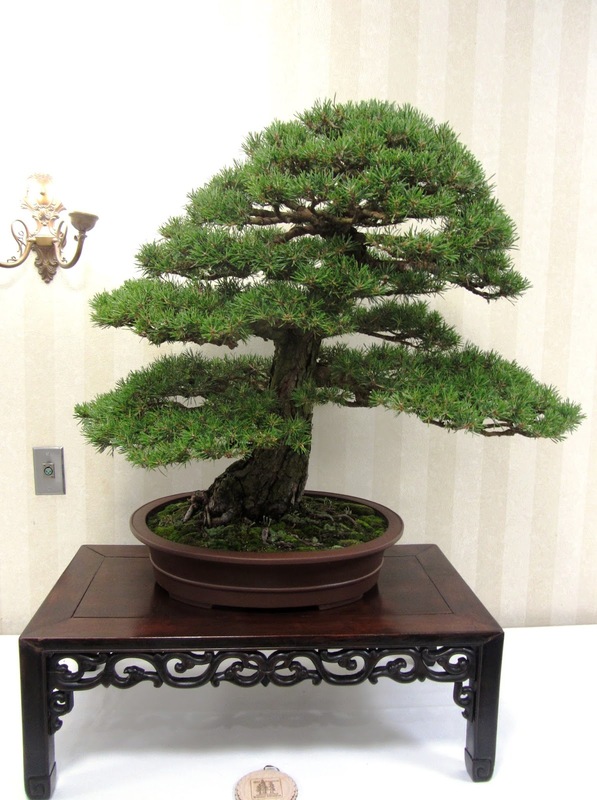 Best of Show: Scots pine, Pinus sylvestris dwarf cv. Owner and artist, Wm. Valavanis. Photo by Larry Benjamin. Used with permission. Best North American Indigenous (MABA Area) was awarded to this Thuja occidentalis, known commonly as "northern white cedar" and "American arborvita". I think the visual balance of shari to live bark is excellent. Best MABA Area Native: Northern white cedar, Thuja occidentalis. Owner and artist, Paul Weishaar. Best Evergreen: Douglas fir, Pseudotsuga menziesii. Owner and artists, Barbara Bogan. Best Deciduous was awarded to a Japanese maple, Acer palmatum, owned and styled by Dr. Zach Denka. This, I understand, was the first time Dr. Denka entered a tree in a major display, and he won an award his first time out of the gate! But this award caused me (and others) some perplexity, because the tree - no offense intended to Zach Denka - reminded me of an Old English sheepdog: there was too much foliage for its structure to be seen! I wondered what steered Matt's decision. 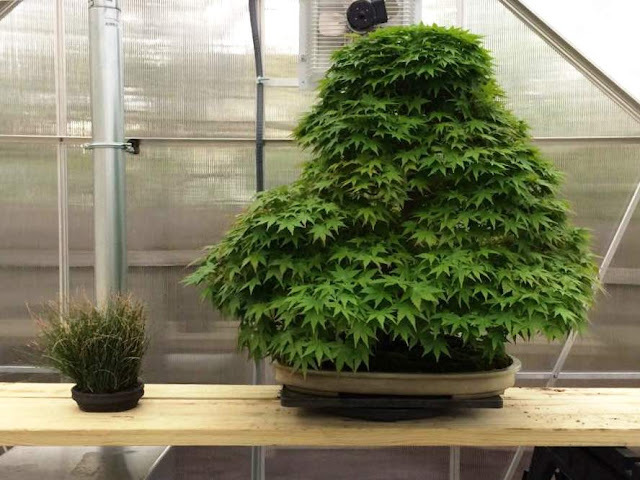 Best Deciduous: Japanese maple, Acer palmatum. Owner and artist, Zach Denka. 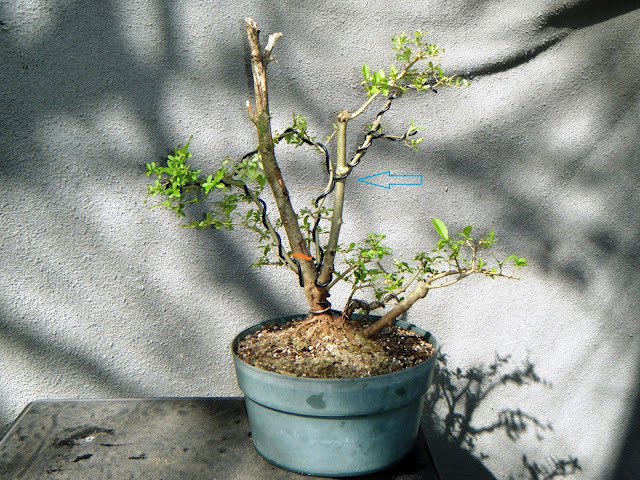 I didn't catch the name of the cultivar, but Zach told me and a few others that the long petiole is natural to it. Photo by Zach Denka. Used with permission. Best Tropical was this root-over-rock veldt fig, Ficus burtt-davyi, owned and styled by Mark Fields. You can see the rock showing thru the abundance of roots. And F. burtt-davyi does often grow on rock outcroppings in its native southern Africa. I think the pot color is well chosen, too. Best Tropical: Veldt fig, Ficus burtt-davyi. Owner and artist, Mark Fields. 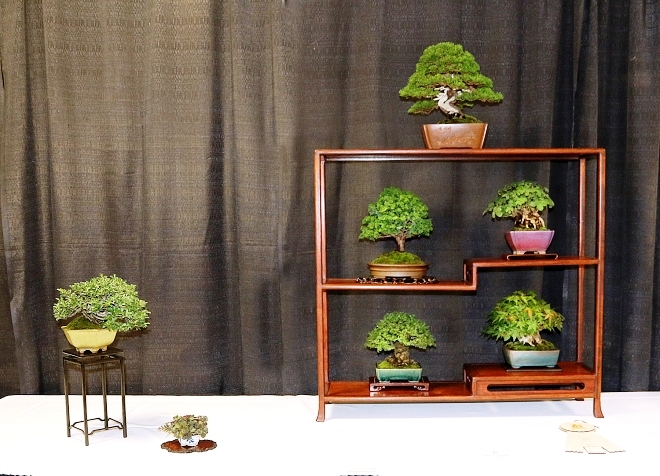 Best Shohin Display was awarded to this 7-point display by Neil Dellinger. Notice how the movement of all the trees is either toward the center of the display or straight up. 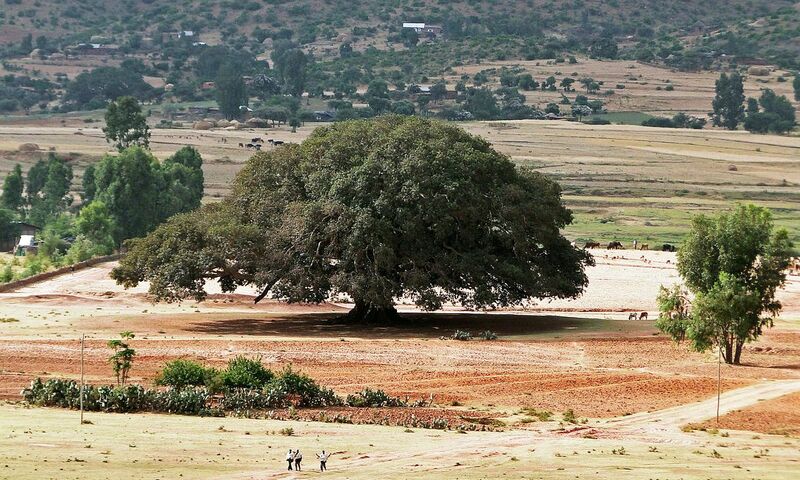 Also, the topmost tree in such a display is traditionally a high-altitude species (think "mountain-top"), altho this one is a shimpaku juniper. 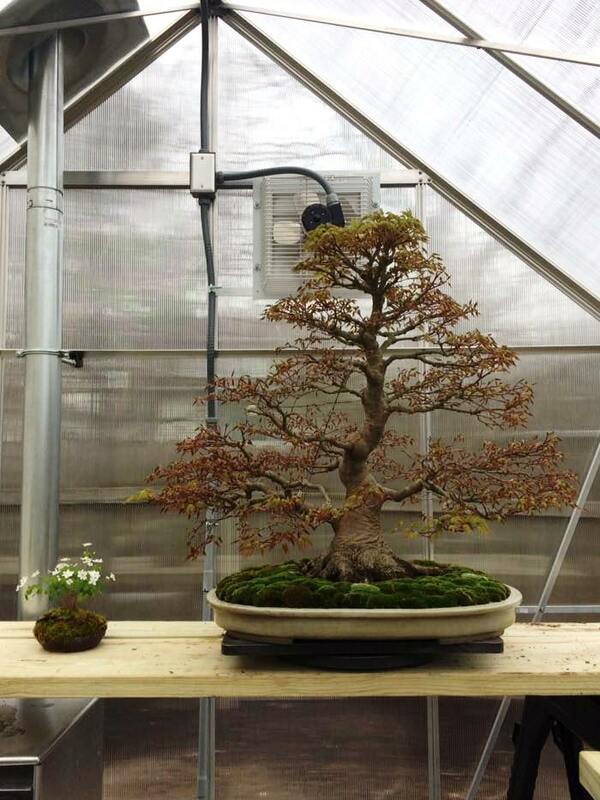 That shimpaku's pot is antique Chinese, and I understand it's worth more than many of the trees in the display! Best Shohin Display: Mixed species. Owner and artist, Neil Dellinger. Photo by William N. Valavanis. Used with permission. And finally, the award for Best Accent went to this mixed planting by Dan Turner. 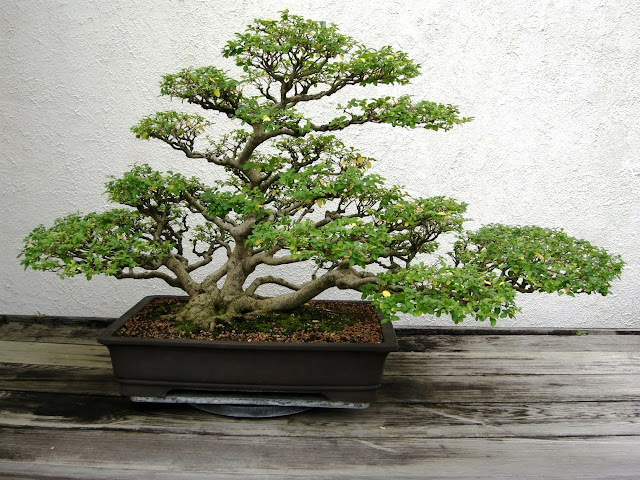 You can't have a bonsai display without accent/companion plants, and this one is outstanding. The combination of colors, textures, and surfaces makes it at once restful and a bit fascinating! Best Accent: Mixed planting. Owner and artist, Dan Turner. Next post: some other awards I might have given, had it been up to me.